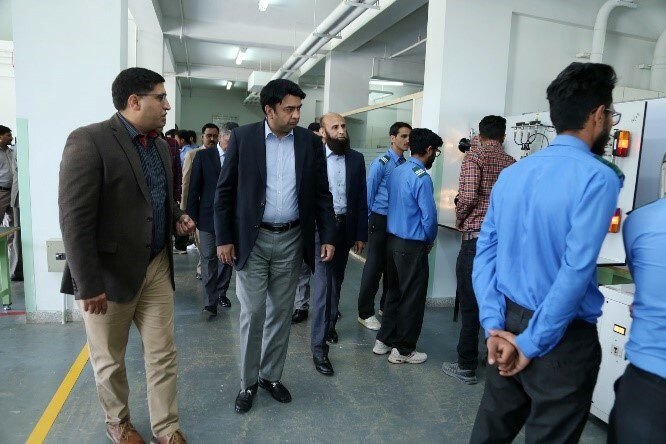 Provincial minister of Punjab for higher education, Mr. Yasir Sarfraz visited NUTECH on 3rd April 2019. 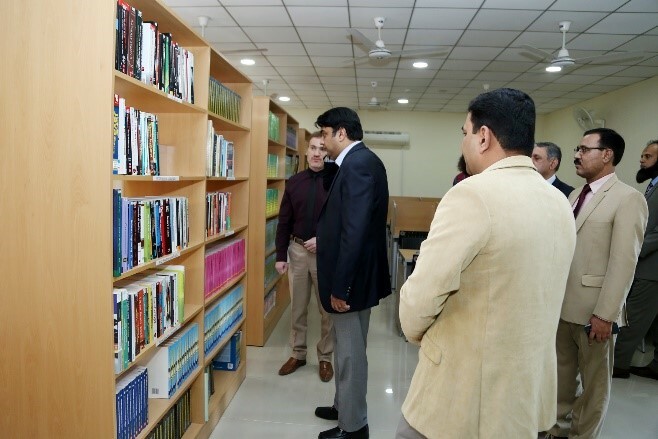 He was briefed on NUTECH concept, vision, mission, objectives and education methodology. 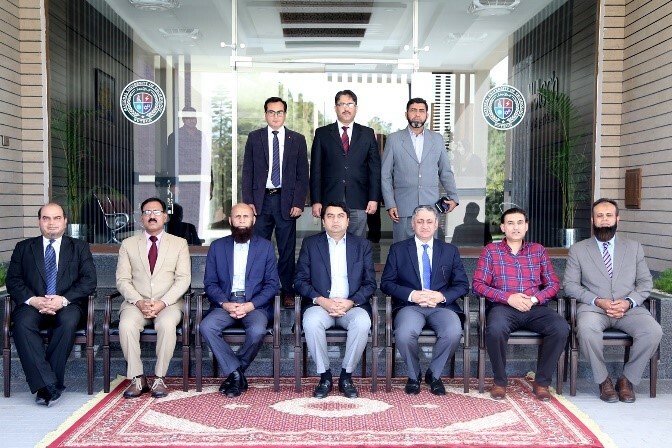 Rector highlighted the needs of our industry and explained, to the honorable guest, a roadmap how NUTECH aims to fulfill these needs. 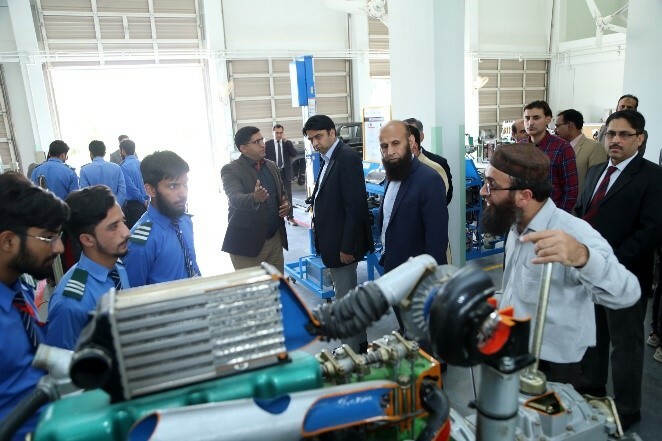 He also had a detailed visit of labs, classes and campus. At the end, Rector presented commemorative shield to the worthy guest.